I dialled down the elegance and dialled up the graphic. I left out the gold and added some kraft. 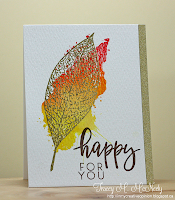 I used a Stamplorations stencil with distress inks and their Hashtag Authentic sentiment set. I love how the negative part of the leaf looks like a bare tree! At this time of year (my favourite!) I find myself thinking 'amazing' several times a day. I love to go for long walks and the colours of the leaves and sky really are amazing. We've been fortunate with the weather here - cool, crisp and lots of sun. Love this, Ardyth! So different from Tracey's, yet the inspiration is still clear. 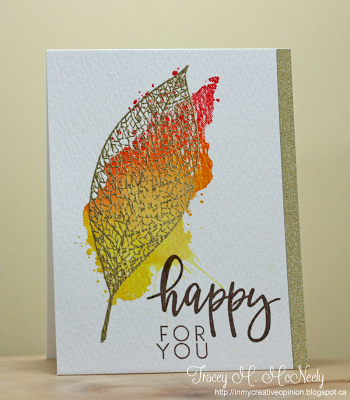 And the sentiment looks very cool with the perfectly sponged leaf. Oh, this is gorgeous! Love it! Gorgeous inking! So, so beautiful! Adore this 'dialed up' graphic creation! The fabulous rich, bold colors work so well with the rugged looking block letters of the sentiment! Ardyth I LOVE how you you upped the graphic! 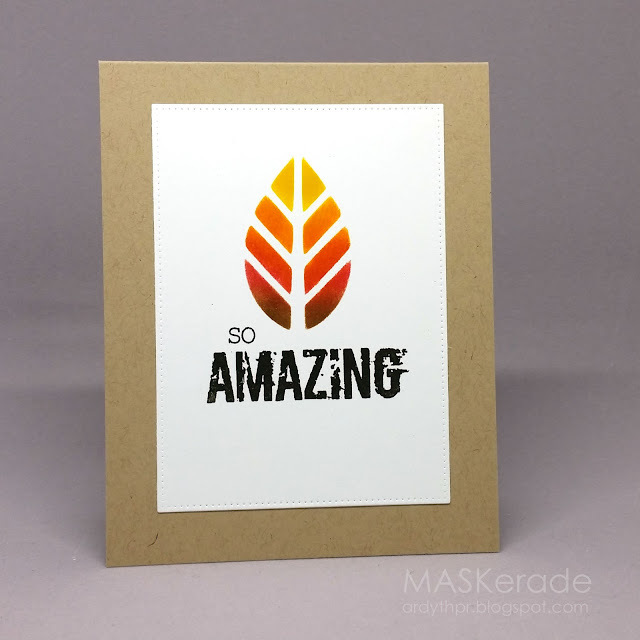 One of things I admire the most about your card making style! Clean, graphic and awesome! Great inspiration ... gave me an idea of another way to use my leaf dies. Fantastic inking.